Since August 1947 India has been a democracy and and the democratic tradition is being continued even today. Next month, the Indian people will be electing a new ruling party at the center to run the Indian government for the next five years. When the British made Indian subcontinent a free country, as it was their wont to follow the ''Divide and Rule'' policy, they created Pakistan and India, the former being a Theocracy (based on religion). As of to -day, the former still remains a breeding ground for the terrorists who kill their own people and others in the name of religion. Obviously, that country is facing un uphill task to get the government going. With reference to freedom struggle, countless women and men lost their lives to free India from the British who had a firm grip on India. the reason being India's vast resources and their perennial source of money flowing from the Indian subcontinent. The British turned India, once a rich country into a poor one with poverty and emaciated people. Whereas they became rich and prosperous with their treasury full up to the brim. 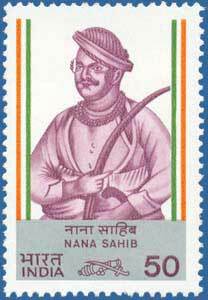 Among the early freedom fighters Nana Sahib made a mark for him self as a dedicated patriot and warrior. Nana Sahib (born 19 May 1824 – disappeared 1857), born as Dhondu Pant was an Indian, Maratha aristocrat, who led the Cawnpore (now spelled Kanpur) rebellion of 1857, a historical event that gave the Indian natives of various religious groups and ethnicity to express their deep anguish and hatred for the English company that landed n India in the 17th century to engage in mercantile trade activities. Greedy and grasping, taking advantage of India's unorganised and non-cohesive political scenario, they pocked their nose in the affairs of Indian rulers, and in the following decades, they had not only begun to take over the Indian lands but also treated the natives with destine and arrogance. As for the British Crown, the EIC became its Proxy Government as the vast income from the Subcontinent began to fill in the coffers of the British government which was almost empty when they established the first trade link in India centuries ago. 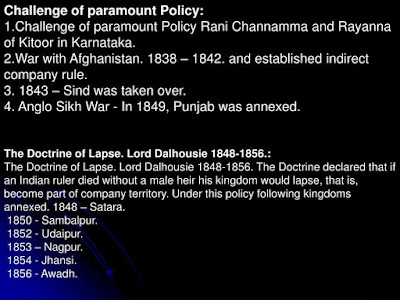 The company's consistent and unjust refusal and their arrogant policies against the Indian natives not only angered Nana Sahib but also other Indian rulers as well who lost their throne on filthy grounds.The princely states of Satara (1848), Jaipur and Sambalpur (1849), Baghat (1850), Nagpur (1853), and Jhansi (1854), etc fell to the British who ingeniously used this tricky doctrine as a ruse to gabble up rich Indian kingdoms upon which they had set their eyes a long time ago. 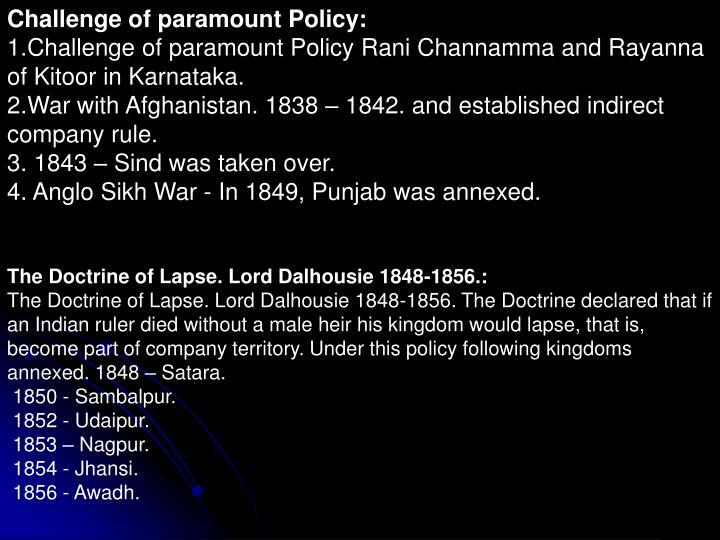 The other policy called doctrine of lapse was also an annexation policy applied by the British East India Company in India until 1858. The tricky part is: According to the doctrine, any Indian princely state under the suzerainty of the British Company (the dominant imperial power in the subcontinent), as a vassal state under the British subsidiary system, would have its princely status abolished (and therefore annexed into British India) if the ruler was either "manifestly incompetent or died without a male heir". Obviously, ''The doctrine Lapse'' and ''Subsidiary Alliance'' and their impact on Indian polity were widely regarded by many as illegitimate. The British officials were the ones to decide whether the prospective rulers were competent enough to run the state!! The ensuing major rebellion of 1857 gave the frustrated Indians a chance to vent out their anger and revenge against the English company who openly practiced racial discrimination and used dubious ways to steal Indian lands. Nana Sahib, with support from his people, revolted against the dishonest English company. Being a highly spirited man he forced the British garrison in Kanpur to surrender, then executed the survivors, gaining control of Cawnpore for a few days. He later disappeared, after his forces were defeated by the British army that recaptured Cawnpore (Kanpur). He went to Nepal Hills in 1859, where he is thought to have died. 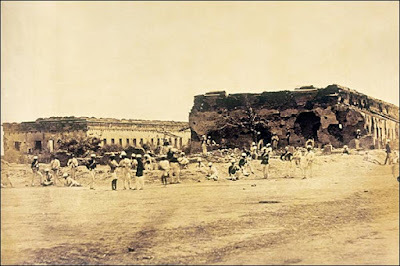 The Siege of Cawnpore was an important historic event in the Indian rebellion of 1857 because it made the British come to their senses to what extant they drove the gullible Indian natives to desperation. The besieged British Company forces and civilians in Cawnpore were caught unawares and were unprepared for a long siege and surrendered to rebel forces under Nana Sahib, in return for a safe passage to Allahabad. However, due to quirk of irony under violent circumstances, their evacuation from Cawnpore turned into a massacre, and most of the men were killed. When EIC 's rescue force from Allahabad marched into Cawnpore, an unexpected bizarre incident took place. It was the killing of about 120 British women and children captured by the Sepoy forces and this incident came to be known as the Bibighar Massacre in which the remains of victims were thrown down a nearby well in order to hide the evidence. The massacre came to light upon the recapture of Cawnpore and the massacre became an excuse for the British to dispense vigilante justice - eye for eye and nose for the nose. In the aftermath, inspired by the 'War Cry' ''Remember Cawnpore '' came the widespread retaliation on the part of the EIC against captured rebel soldiers and local civilians.This resulted in large scale killing of native Indians and the soldiers that ran into tens of thousands. But the British media played down this and never gave a true picture. The British did not even spare the innocent Pundits - priests. Nana Sahib won the trust of Charles Hillersdon, the Collector of Kanpur, and the understanding was that Nana Sahib would assemble a force of 1,500 soldiers who were ready to help the British, in case the rebellion spread to Cawnpore. On 6 June 1857, at the time when the Indian rebellion was in full bloom, the East India Company's contingent forces at Cawnpore, took refuge at an entrenchment in the northern part of the town. In the midst of a chaotic situation opening up at Cawnpore, Nana Sahib and his army got into the British magazine and the soldiers of the 53rd Native Infantry stationed there under the EIC thought that Nana and his Army had arrived there to guard the magazine at the request the Company. However, no sooner had Nana entered the magazine, than he announced that he and his army were part of the rebellion against the Company, and were part of a vassal of Bahadur Shah II. 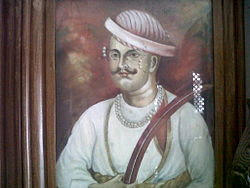 He took possession of the Company treasury and expressed his desire to restore the Maratha confederacy under the Peshwa tradition, and decided to capture Cawnpore. He asked the soldiers no to proceed to Delhi and instead get back to Cawnpore to help him defeat the British. The soldiers being hesitating initially later agreed to join Nana when he promised to double their pay and reward them with gold, if they were to destroy the British entrenchment. However, the entrenchment was steadily losing its soldiers and civilians due to successive bombardments, sniper fire, and assaults from the rebels and further, the situation turned very bad as the British army ran low on water supply, food and medicine. The sniper fire and the bombardment continued until 23 June 1857, but, Nana's forces were unable to gain an entry into the entrenchment by the end of the day. General Wheeler's personal morale had been low, when his son Lieutenant Gordon Wheeler was decapitated in an assault on the barracks At last Nana sahib made a deal with the Army under Gen. Wheeler for the safe passage of Europeans to Allahabad provided they would surrender to him unconditionally. Finally, after having no other choice, Wheeler decided to surrender, in return for a safe passage to Allahabad. After a day of preparation and burying of the dead, the Europeans decided to leave for Allahabad on the morning of 27 June 1857. 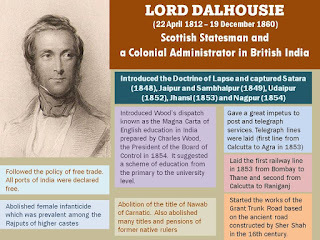 A spirited Indian ruler who lost his land and princely life rattled the tough British officers to register Indian people's hatred for the dishonest wheeling and dealing of the English company. When the British reigned the control over Cawnpore, on 19 July, General Havelock resumed operations at Bithoor. Major Stevenson led a group of Madras Fusiliers & Sikh soldiers to Bithoor and occupied Nana Sahib's palace without any resistance. The British troops seized guns, elephants & camels, and set Nana Sahib's palace on fire. As for Nana Sahib who fled to Nepal, his whereabouts became a bone of contention.